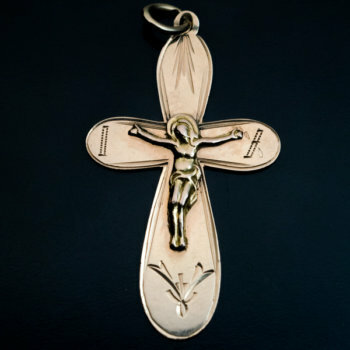 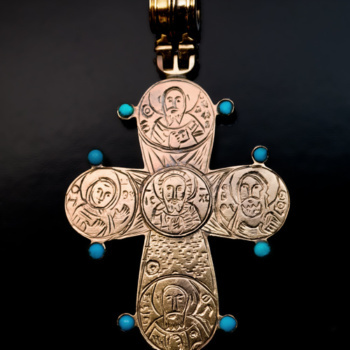 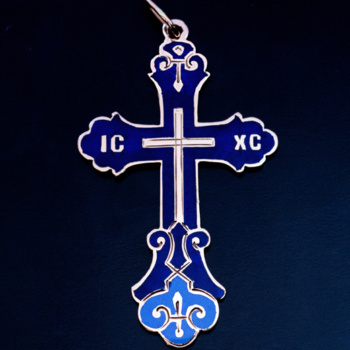 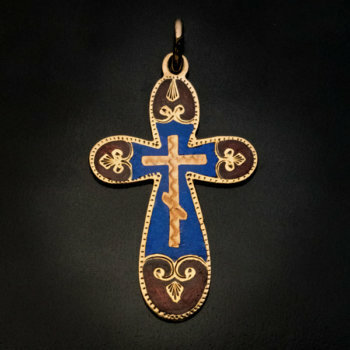 A very fine quality handmade antique 14K gold Russian Old Believers cross pendant is embellished with two-tone blue enamel. 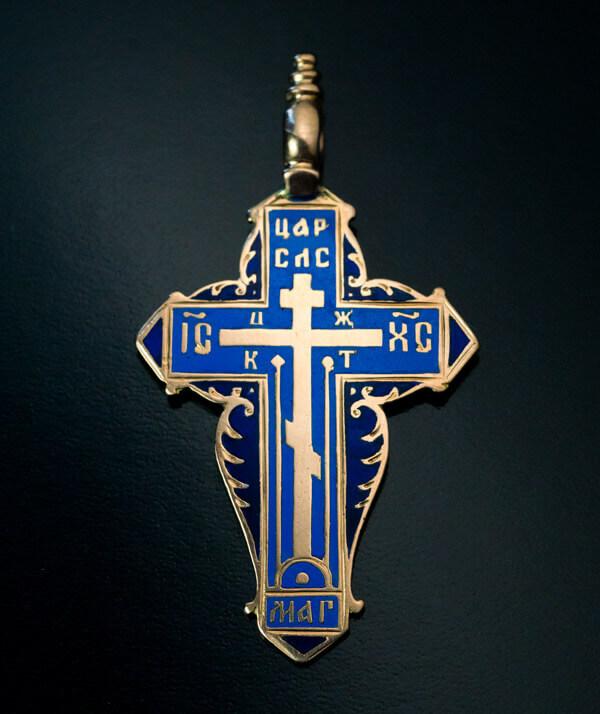 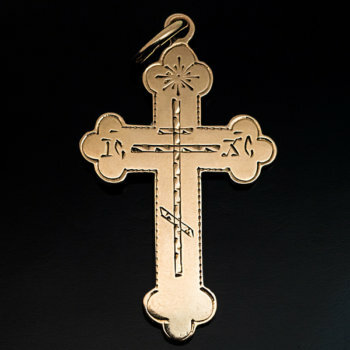 Old Believers crosses with enamel are very rare. 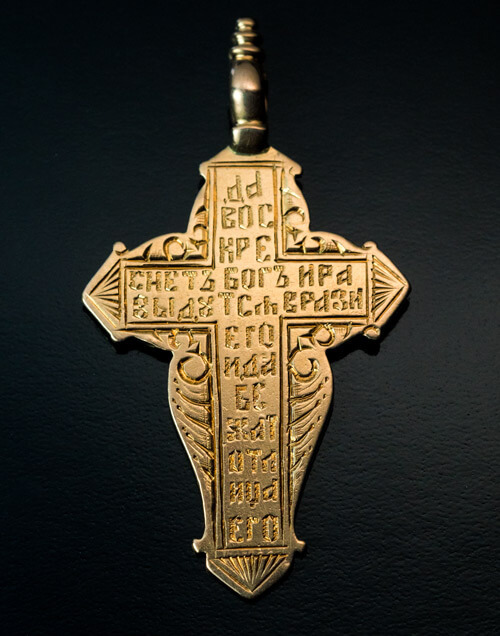 This cross is almost certainly was privately commissioned.